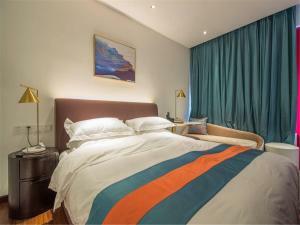 Set in Beijing, Beijing Area region, Zhongyixuan Courtyard Hotel is situated 11 km from Guijie Street. 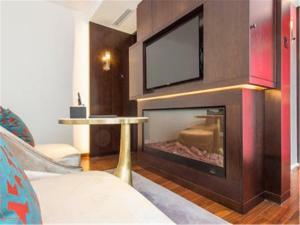 Located in the Chaoyang district, the property provides guests with access to a restaurant. Wangfujing Street is 12 km away. 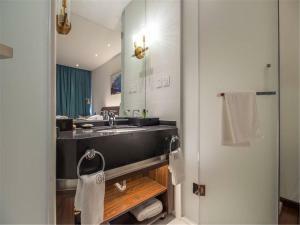 Guest rooms at the hotel come with a seating area, a flat-screen TV with satellite channels and a private bathroom with free toiletries and a shower. 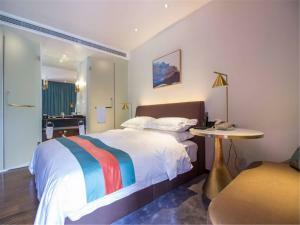 Zhongyixuan Courtyard Hotel provides certain rooms with garden views, and every room has a terrace. All guest rooms at the accommodation have air conditioning and a desk. Guests at Zhongyixuan Courtyard Hotel can enjoy an Asian breakfast. Yonghegong Temple is 12 km from the hotel, while Temple of Heaven is 13 km from the property. 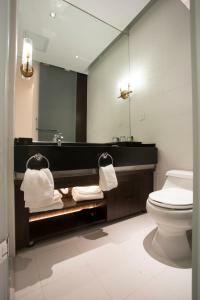 The nearest airport is Beijing Capital International Airport, 19 km from Zhongyixuan Courtyard Hotel. Please note that prepayment of the first night's stay is required to secure your reservation. 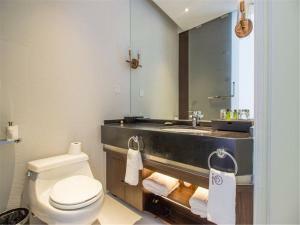 The property will contact guests with payment instructions after you book. 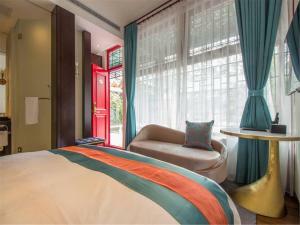 This double room has a balcony, bathrobe and tile/marble floor. Rate: CNY 1087.45 ... CNY 1195.00; select dates below to get current rates. 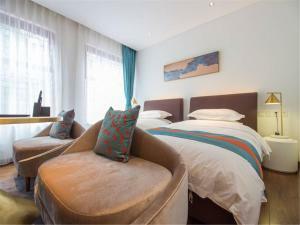 This twin room features a balcony, sofa and seating area.